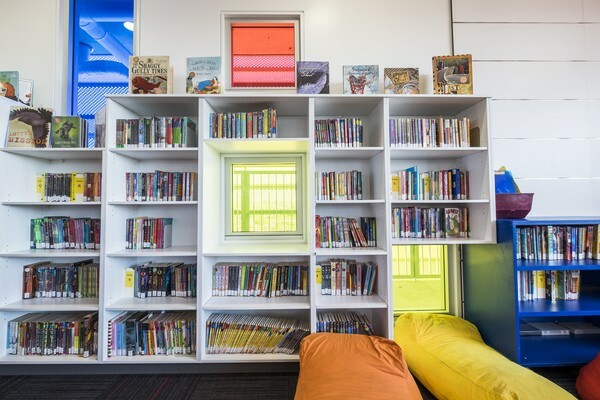 Bulimba State School’s new Library Building accommodates 10 new General Learning Areas (GLAs), a new Library/ Resource Centre, and a rooftop terrace, and links into the existing spine path. The welcoming “L” shaped plan provides excellent north facing classrooms, library spaces, andoutdoor learning areas. Expansive views towards the Hamilton Reach of the Brisbane River will expand the outlook of students within the building. The existing heritage listed Block C that was on the site had to be relocated for development of the new building. Built in 1915 and reconstructed around 1952, the timber structure originally housed the infant’s school. 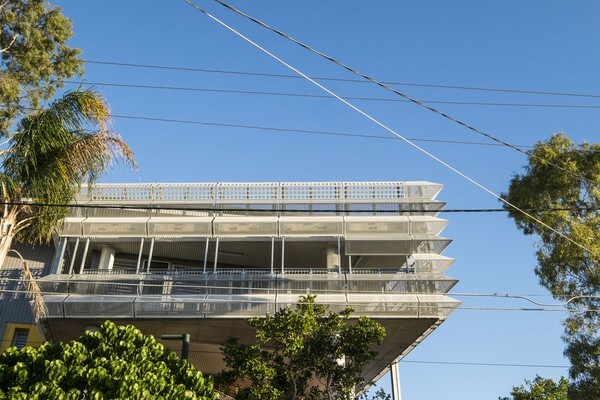 Biscoe Wilson Architects worked with the Heritage Architect consultant to create a new building that is respectful to the history and context, including a commemorative space for the original building on the site. 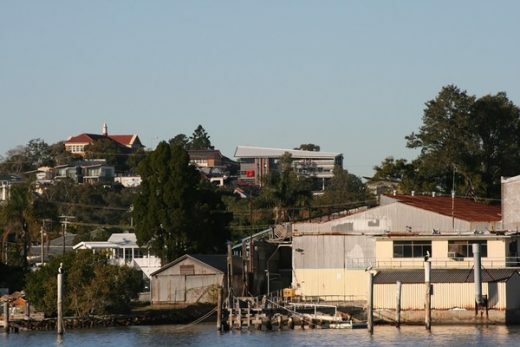 Parallel to this project, Biscoe Wilson Architects have been working with Bulimba State School on a Master Plan. This Master Plan identified the school’s sloping site as equivalent to a 10 storey building. 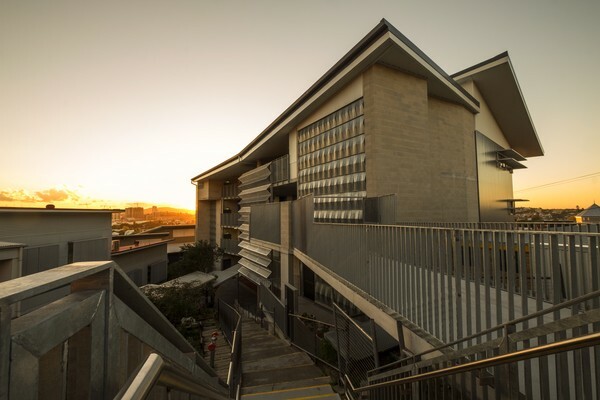 The new multi-storey building is able to stagger along the sloping site and connect into the existing spine path at three different levels, increasing connectivity throughout the school. 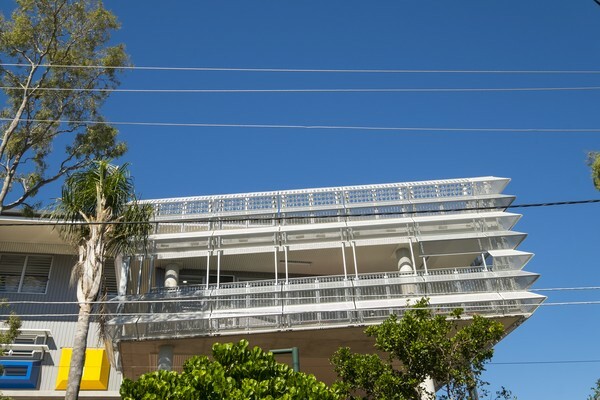 The provision of a lift and elevated ramp connections have increased the wheelchair accessibility across the school. Similarly, the new buildings that Biscoe Wilson Architects have previously developed along the spine path (OSCH Pavilion, F Block, and the Multipurpose Hall) have enhanced the village feel of the campus and shifted the gravity of the school to a more central location. 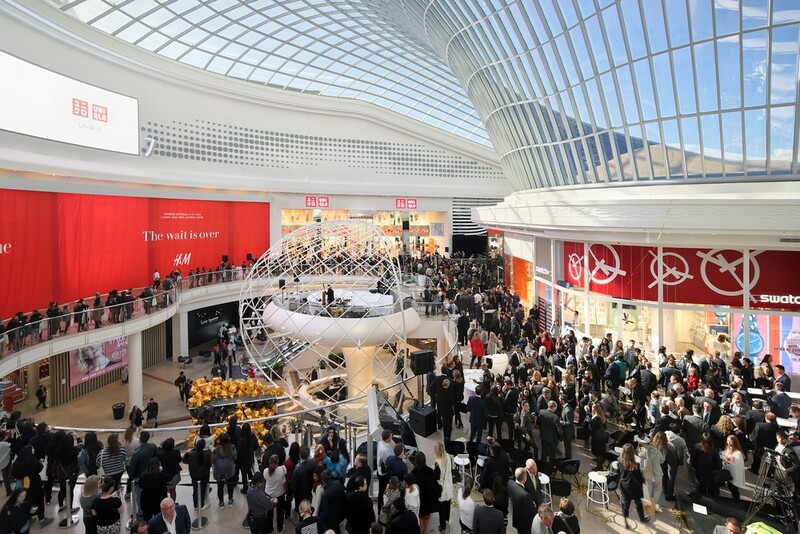 The new building will therefore provide an opportunity for an additional primary entry point off Oxford Street. 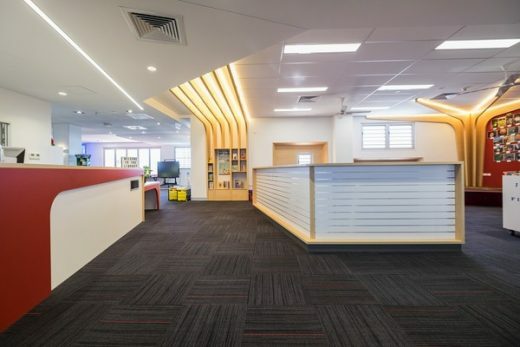 The 383sqm Resource Centre, centrally located in Level 2 of the new building, provides an increase in library area to suit the expanding needs of the school. 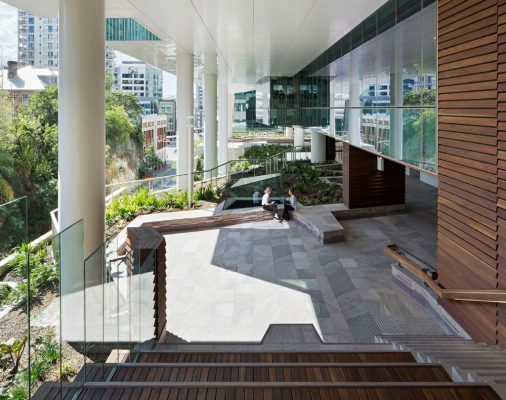 The Resource Collection Area projects north of the main façade to create an undercroft below and a trafficable roof terrace above. The rooftop terrace is accessible from the GLAs on Level 3. 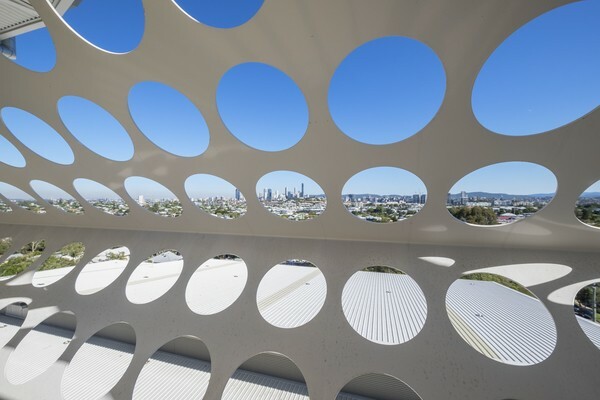 The terrace has been designed for flexibility and can be developed in the future as an additional Outdoor Learning Area for growing edible plants, practical experiments, or general recreation. The double height undercroft assists in providing a covered community plaza and forecourt to the hall. 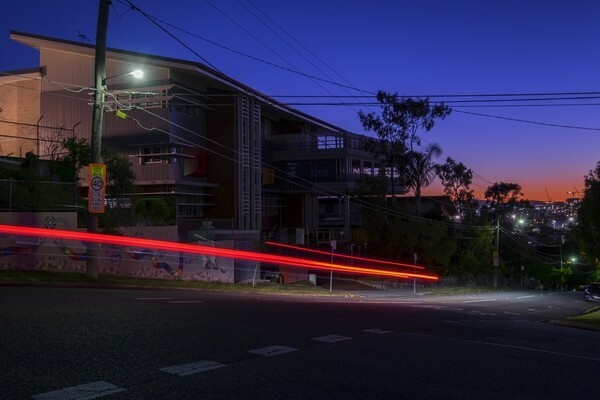 Opportunities for landscape and recreation spaces between the buildings and the pedestrian spine will enhance opportunities for spontaneous interactions between the school communities. 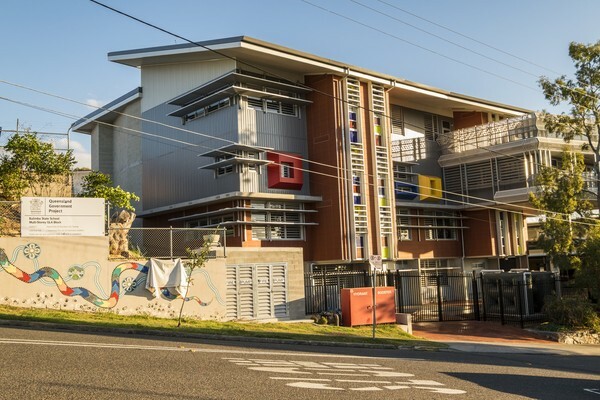 As with Biscoe Wilson Architect’s other buildings on the Bulimba State School campus, sustainable design was a core initiative of the new building. 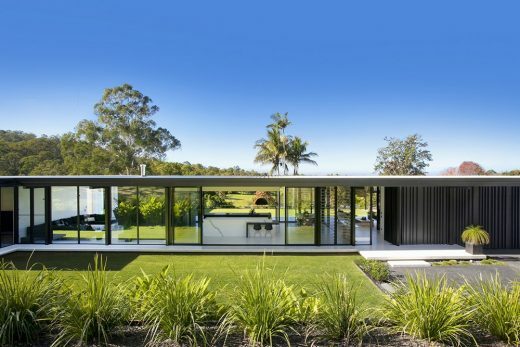 Appropriate solar orientation, sun shading, insulation, cross ventilation and water collection were incorporated. Energy efficient lighting and equipment were used throughout. 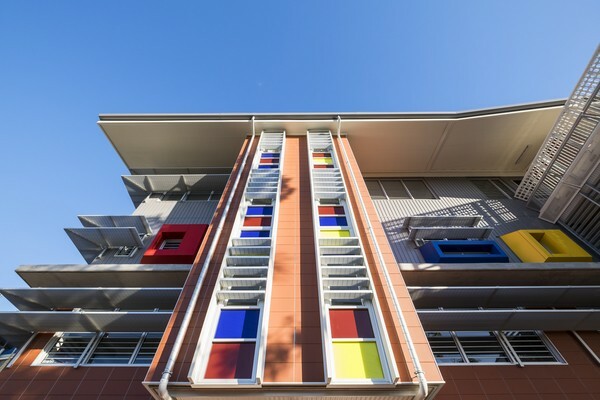 Low maintenance and durable materials were utilised to ensure high building performance with minimum operational and ongoing costs. 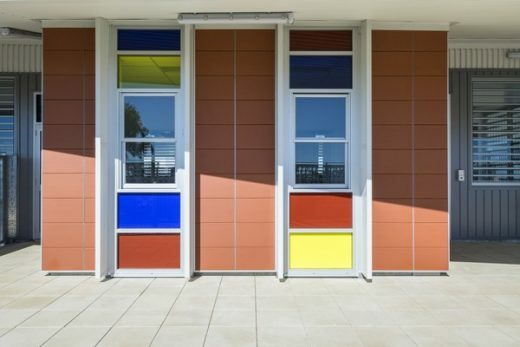 The terracotta facade system, metal wall cladding in colorbond metallic coating, and expressed horizontal jointed fibrous cement sheeting reference the original materials around the school while creating a modern and unique identity.